Or it could be she is right for the role. A Saina Nehwal bio can really go anywhere. She isn’t married so it won’t be romance focused. Both her parents played badminton, her family is from Haryana, but she grew up in Hyderabad. And now she wants to open a badminton academy. All of these things could be turned into a full plot of a biopic. Or any number of other ideas. And maybe Shraddha is just perfect for one of them. I will remain tepidly interested in this film no matter what because Amole Gupte is directing, and he does really interesting things. 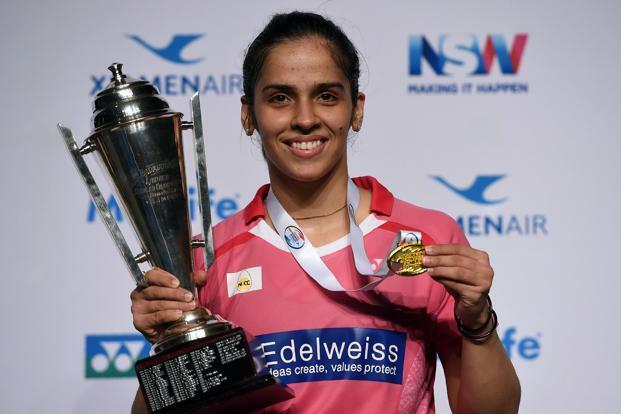 Especially with children’s stories, so it is possible he will focus on Saina’s early days when she took up badminton to get past her loneliness after moving to Hyderabad. Rakesh says Hrithik will finish the Tiger film with Yash Raj, he will finish the Krrish 4 script, and then they will start filming. It will be another special effects heavy family friendly film, like we have come to expect from the Krrish series. Meaning, everyone is wondering if PC will still be part of the series. So Rakesh is making the announcement either because now is a good time to capture our attention, or he wants to get it over with and stop getting questions. This sounds like sort of a cute set up for a rom-com! The kidnapper falls in love with the bride, the kidnappee falls in love with the wrong person, all kinds of funny misunderstandings and so on. But here’s what makes me doubtful. Sid is supposed to play a Bihari thug. Can Sid pull this off? I mean, really? Parineeti having a romance with the thug hired to kidnap the nice good boy groom sounds like a great set up for a movie though! Just, not opposite Sid. But then I discovered within myself a sudden burning curiosity. 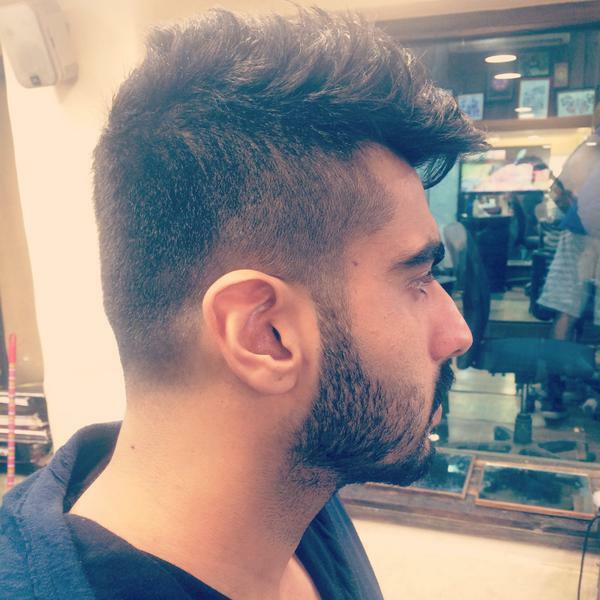 So I guess it is working, I now DESPERATELY want to know what Arjun’s hair looks like and how it is related to his character in the film. This entry was posted in Uncategorized and tagged Arjun Kapoor, Filmi News You Can Use, Krrish 4, News Round-up, Parineeti Chopra, Shraddha Kapoor, Sidharth Malhotra by mredlich21. Bookmark the permalink. Ahhhh!! Hasee too phasee was so goood!! Super excited to have them back #Sidneti. Before, I discovered BAHUBALI, I was literally obsessed with Sidneeti. I shipped them. I wanted them to get married. They sold it soooo well. After the movie released, nothing occurred. They are one of my favorite pairings, too! I loved HTP so much. “Hair” seems to be a reoccurring issue lately. Maybe you should have a new weekly special hair-themed post. It is a vital part of Indian film acting. That’s exactly the kind of role that Shraddha might actually be good in, so we’ll see. Krrrish: I really dislike Rakesh Roshan’s hold over his son’s career. You’re a grown man, make your own decisions…make better decisions. If PC is in it, I almost definitely won’t like it…I could only get through K3 because of the Kangana role wackiness. You just made my day with the Sid and Parineeti announcement! I think that’s the perfect match up! I loved Hahsee Toh Pahsee even with the valid issue with the portrayal of mental illness. Their romance was actually quite believable. Both of their stars are on the wan or at least slipping to B-list and this won’t really rescue them unless it’s a great story and is a major hit (like Bareilly Ki Barfi). Parineeti has got a lot of rom-coms in the works…she is becoming the Katherine Heigl of Bollywood? I could care less about Arjun’s hairstyle for that movie…what a stupid way to promote a movie and so many actors do it! If it’s different that’s cool…it will probably be a buzz cut or something. I *would* like to see more roles with the long shaggy hair he had when he started. I’m not a big fan of the hipster hair though Shahid pulled it off in Shaandaar. This announcement could mean that Rakesh’s hold is weakening, since Hrithik is pushing back Krrish in preference for other projects. Maybe Maybe. I love the idea of Parineeti and Sid together, but I am still nervous about Sid playing a Bihari thug. He would look cute, but I don’t know if he can pull off the accent or the style of it. The Thugs obsession with “look” secrecy is the one that bothers me. It’s a historical! We know they are going to look weird! Plus there was that whole awkward months long period of Aamir trying out different looks, none of which looked great. And thanks for the trailer tip! I just checked it out. And now I am nervous that Taapsee isn’t going to end up with Abhishek after all, and I really really want her to! I hated Krish 3 it felt like a childrens movie with really bad CGI and animations, krish and Koi mil gaya were alot better. I really hope its realistic this time and don’t make it all sci fi/ hollywoodish if that makes sense and maybe bring back Priety Zinta! Yes bring back Preity!!!! Her scenes were the best part of Krrish, and then they just dumped her and replaced her with Priyanka. Did you see haseena parkar? I didnt really care for sharadda before I saw the movie (half of it anyway) and I thought WOW why dont people use her to act? The movie was trash but I thought she was quite good. No? I didn’t see it, you thought Shraddha did a good job? Yay for Sid-Neeti! You have to review Hasee Toh Phasee please!! Poor Parineeti, she started off on equal footing with Alia and now look where she is and Alia has just surged ahead! I still haven’t even watched Hasee To Phasee! but my sister is visiting, and it seems like a very sister friendly movie. Stealing your sister’s fiance, stealing your sister’s dowry…the list goes on.Which part of Hasee to phasee is sister-friendly? For a real sister sacrificial movie you could try Rakhee-Rekha-Sashi Kapoor starrer Basera.Or you could just give a chance to Shraddha Kapoor and watch her first movie “Luv ka the end.” She shares a ovely sisterly bond with her lil sis who blackmails her, and covers up for her and everything. The part where we sit next to each other on the coach and sigh over how handsome Sid is! I find that extremely sister friendly. You’re going to love it. I think it’s his best romantic role by far. There are some hilariously sweet scenes with her dad, too. I just might have to rewatch it now that it’s on my mind. It’s definitely one of the few films that I regularly rewatch.